Planes, Trains and Automobiles in Raleigh, N.C.
Get your motor revving and head into the sky, off on the rails or out on the highway in Raleigh, N.C. The Raleigh area is home to exciting experiences centered around planes, trains and automobiles for the most die-hard enthusiasts! Popular with aviation enthusiasts of all ages, the RDU Observation Deck provides an expansive view of RDU’s 10,000-foot runway. Watch in amazement as massive, metal birds taxi, take off and touch down right before your very eyes. The elevated deck is also located near the Air Traffic Control Tower and features audio speakers where you can listen in on pilot-tower communications. Between sightings, you can learn about different types of planes from educational displays, and the kids can play on the playground (complete with its own runway) or enjoy a picnic lunch. Bathrooms are on-site and parking is both free and easy. Another great spot relatively unknown to visitors is the General Aviation Terminal. Here you’ll see unique private jets and company planes in action as no commercial flights are serviced from here. Not only do the terminal’s huge, panoramic windows provide a fantastic view of the tarmac, but there’s also a balcony on the top floor. If you&apos;d like, you can find a cozy chair, logon to the free Wi-Fi and Google that airplane you’d previously never seen before. Tip: Visit during the morning or early afternoon to see the most action, or evening hours to experience the airport at night. 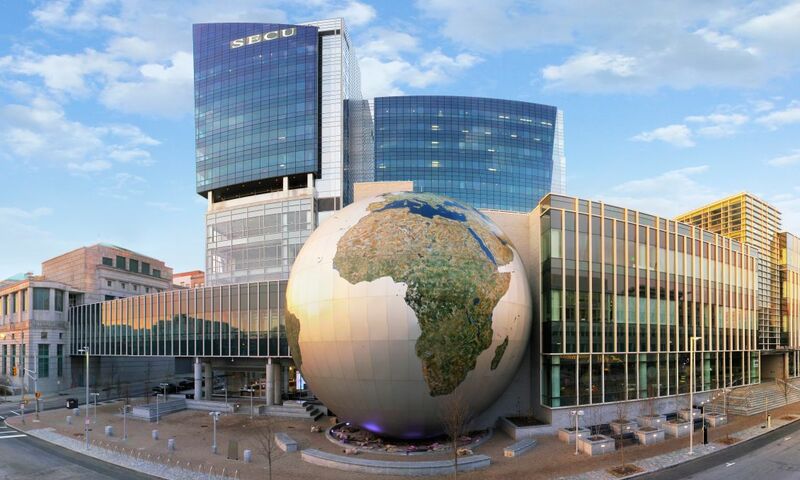 If your fascination with flight leans more toward the historical side, then head to downtown Raleigh&apos;s North Carolina Museum of History. On display in the lobby is a full-sized replica of the 1902 Wright Glider (with a 32-foot wingspan and weighing in at a surprisingly-light 112 pounds), loaned to the museum long-term by the National Park Service’s Wright Brother’s Memorial Visitor Center. The museum also has a 1911 Wright Glider in the lobby and a 1903 Wright Flyer on display in The Story of North Carolina exhibit. 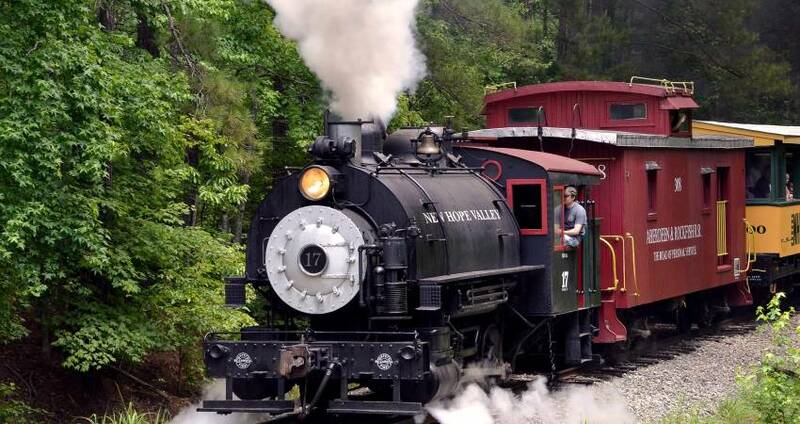 Sitting in the southwest corner of the Raleigh area in New Hill is one of the area’s best-kept secrets for anyone interested in trains, history or an off-the-beaten-track adventure. The North Carolina Railway Museum & New Hope Valley Railway is home to an all-volunteer museum dedicated to the preservation of railway history in N.C. Treat yourself to fascinating exhibits, including several vintage cars and locomotives as well as a collection of historic memorabilia. Model train lovers will especially enjoy the 600-foot, G-scale, garden model railroad. However, the star of this attraction by far is the New Hope Valley Railway. Hop aboard a passenger car for a one-hour ride through scenic pine forests. Several vintage locomotives are used to pull the train along, including a 1927 steam locomotive. Tip: The passengers cars, while covered, are also open air, so dress accordingly. The museum and railway also host several special events like Operate-a-Loco, where visitors can drive a locomotive; Brew &apos;n’ Choos with food, local beer and wine; and Santa Train, a real treat for the kids during the holidays. If you&apos;re in downtown Raleigh, you should head to Raleigh Union Station—Raleigh’s new, premier transit hub and Amtrak passenger station. Opened in summer 2018, the station is a true statement piece with its sleek, industrial design that blends seamlessly into its retro décor. Another great place to see trains is at the Cary Depot, ranked number one nationwide for overall station experience by the Amtrak Customer Satisfaction Survey. Step inside and be instantly whisked away to a golden age of rail travel. Marvel at the floor-to-ceiling windows, polished floors, wood accents, low-slung sofas and high-backed church pews in the waiting area. Then, stroll outside to the observation deck that provides perfect view of the train platform where 10 passenger trains arrive and depart each day. Back inside, near the Amtrak ticket counter, is a small, picture gallery and snack bar if you’re feeling hungry. Another great thing about Union Station: it’s right in the heart of the Warehouse District. CAM Raleigh and several other art galleries are just a short walk away; you can grab dinner at Humble Pie, a small plates restaurant with an awesome patio, or The Pit, a barbecue joint serving everything from Carolina-style ribs to some of the area&apos;s best fried chicken; or just grab a drink and play your favorite arcade game at Boxcar Bar + Arcade. Are you visiting with little tykes who love trains as well? Then be sure to make it over to Pullen Park near the North Carolina State University campus. One of the many highlights of the park is the one-third size, near-replica of the famous locomotive of the C.P Huntington. 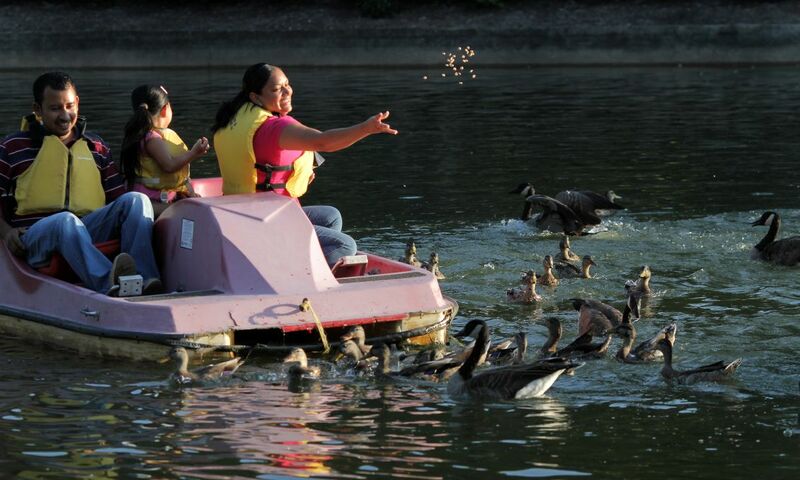 You and the kids can climb aboard and take a leisurely ride around the 66-acre park, enjoying the sights of Lake Howell, the Island Gazebo, the Gustave A. Dentzel Carousel and much more. Tickets are $1.50 per person and children one and under ride free with a paying adult. After your train ride, the fun keeps rolling right along at Pullen Park caboose. Kids can explore this authentic end car from the Norfolk Southern Railway complete with its bay window and Southern Railway paint scheme. You can easily spot it on the left side of the park, just before the playground. For all the automobile fanatics out there, we’ve saved the best for last. From stock cars to go-karts, trucks to motorized trikes, trolleys to RVs, Raleigh proudly rolls out the welcome mat for those who truly appreciate where the rubber meets the road. First, a little-known fact about motorcycles. Did you know that Raleigh is home to the only museum in the world dedicated to Harley-Davidson drag racing? The Legends of Harley Drag Racing Museum, located on the second-floor balcony of Tobacco Road Harley-Davidson (one of the largest Harley dealerships in the U.S), was the vision of local business and community leader, and hall-of-fame motorcycle racing legend, Ray Price. Overlooking the dealership below, the museum features displays of drag racing motorcycles along with memorabilia chronicling Ray Price’s history in the sport as well as other well-known racers. Drop by to catch sight of a “funny bike,” invented specifically by Ray for street racing. Or, peruse historic photos of drag racers in action alongside racing jumpsuits, jackets, trophies and plaques. The best part: admission is free. No street credit needed. For lovers of stock car racing, a trip to the North Carolina Sports Hall of Fame at the North Carolina Museum of History is a must! There, you can catch a glimpse of champion driver Richard Petty’s stock car along with all the other amazing accomplishments of N.C. athletes across the wide world of sports. If museum trips aren’t enough to get your motor revving, then race on up to the Wake County Speedway, “America’s Favorite Bullring.” This quarter-mile asphalt racetrack has been called “the shortest, fastest, most intense track there is.” Stock car races are held here on alternating Fri. nights from April to Sept., featuring six main classes of cars: late models, chargers, legends, mini stocks, U-cars, bandoleros and bombers. From the grandstands that overlook the entire track, race car fans never miss a minute of the pulse-pounding action. Before visiting, check their website to see the race schedule. Looking to experience racing thrills from the driver seat instead of the stands? Check out Rush Hour Karting located in Garner. Rush Hour offers indoor, high speed carts on a one-third-mile track. Visitors can hop behind the wheel of European-designed karts that boast max speeds up to 40 mph. Race around hairpin turns, high speed straights and winding turns to claim your place in the winner’s circle! Afterwards, cool off with drinks and grab a bite to eat at the bar/tavern overlooking the track. Tip: If you’re planning to race with a group of five or more people, a reservation with Rush Hour is strongly encouraged. And for more karting fun, check out the outdoor road course at Frankie’s Fun Park, an awesome entertainment option in the Brier Creek area. Having the most fun you can have on three wheels, while also getting a great tour of our city most certainly involves an electric Trikke tour with Triangle Glides. The company’s sporty and incredibly-maneuverable, light electric vehicles (LEV) beat walking any day! Not only will you have the chance to get up close to Raleigh’s fascinating points of interest, but you’ll also cover more ground than walking and experience a motorized thrill unlike any other. Triangle Glides tours cover areas all over downtown Raleigh and beyond. One- to two-hour tour options start at $49 per person. Triangle Glides provides equipment orientation and training, helmets and a wireless audio pack for listening to the live narration from your tour guide. Minimum age for Trikke riders is 14. Another great option for efficient sightseeing is the Historic Raleigh Trolley. All aboard this unique motorized coach that harkens back to a bygone era with its classic oak-arched windows and fine brass railings. Sit back and relax as a knowledgeable tour guide shares the history of our city. Departing from Mordecai Historic Park, the trolley goes by Bicentennial Plaza, Joel Lane Museum House, Fayetteville St. and City Market. The tour lasts about an hour and costs $10 for adults, $4 for youth ages 7-17 and is free for children six and under. You can also charter and/or rent the trolley for larger parties or special occasions. Also, check out The Great Raleigh Trolley offering all the comforts, convenience and safety of modern transit. From birthday parties to bar crawls, to special occasions to just for fun, the trolley is a unique way to experience the City of Oaks. In addition to attractions, exhibits and sightseeing, the Raleigh area also plays host to several automobile shows large and small. Plan your visit in either the spring or the fall to catch the largest event—the Carolina Collector Auto Fest (CCF). Held at the North Carolina State Fairgrounds, the event boasts 100,000 square feet of indoor space (with additional outdoor space) to showcase, buy and sell vehicles, automotive parts, components and accessories. More than 100 vendors pack the event displaying everything from waxes and polish to complete cars and everything in between. Get the classic car of your dreams or that diamond in the rough just waiting to be built into the perfect hot rod. The fall 2018 event is scheduled for Nov. 9-10.